Ionic is an HTML5 mobile application development framework targeted at building hybrid mobile apps. Building Apps to multiple mobile platform's is very easy by IonicFramework. 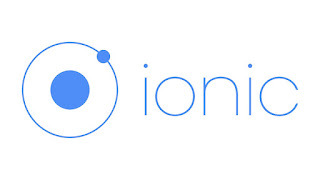 In this post i'm going to explaing you, how to Create a project in IonicFramework. First, If you haven't already have the required environment in your system, for building a project on Ionic. please follow the below steps to setup the environment in your system. Now, you can create the ionic project by typing the below command in your system Command-line interface. Where "appName" is your projects name and "tabs" tells ionic to create project in tabs style. IonicFramework offers three ready-made app templates, below is the command to create each app template. To Create Blank Template, use the following command. If you prefer sidemenu, use this command. Execute any of the above mentioned command's & Wait for the command-line to finish the project creation process. Now, run the following command to run the project in browser.